Chennai, Oct 1: Acting on an intelligence tip of, the Southern Railways has sounded an alarm cautioning the Railway Protection Force (RPF) units to keep a watch on the movement of large number of Rohungyas travelling all the way from the northeastern states to the South, especially to the state of Kerala. According to a report, the warning letter has been issued by the Chief Security Commissioner of Southern Railways to all the divisional security commissioners located at Chennai, Madurai, Salem, Thiruvananthapuram, Palaghat, and Tirichirapally recently. An RPF officer said that the letter specifically referred to the movement of Rohingya Muslims who are illegally living in India and trying to move southwards to Kerala from Northeast region. The letter also gives the list of 14 trains originating from West Bengal and Assam travelling to destinations in Tamil Nadu and Kerala. The Rohingyas are suspected to travel by these trains to reach their new destinations in the South. 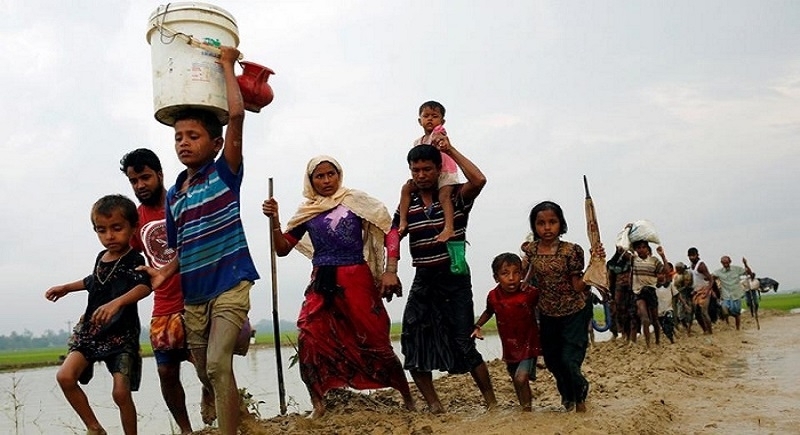 “All Rohingyas are travelling in groups along with their families,” the letter has stated. The list of trains include, the Santragachi-Chennai Central Antyodaya Express, Howrah-Kanyakumari Express, Howrah Mail, Guwahati-Trivandrum Superfast Express, and Shalimar-Trivandrum Express. A senior RPF officer confirmed that railway board had indicated a security risk over Rohingya after which the alert was sounded off. Rohingyas are an ethnic Muslim minority group from Myanmar’s Rakhine province. Thousands fled Myanmar to take refuge in neighbouring countries such as India, Bangladesh, Malaysia, Indonesia and Thailand. Union Home Minister Rajnath Singh called all Rohingyas ‘illegal immigrants’ and directed the state governments to monitor their movements to enable their deportation to Myanmar. In August last year, Union MoS Home Kiren Rijju said the government wanted to deport 40,000 Rohingya Muslims from the country.